There are far more romantic ways to give flowers than a dozen roses. Read these creative ideas. 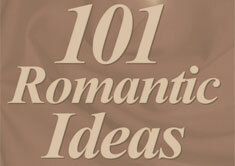 Also, check out our very romantic ways of using just rose petals or roses.